Not sure about you, but I couldn’t live in a world without hope. A life without optimism, imagination and hope would be like a life without a smart phone. You couldn’t live a day without it. Think about it. We live in a world where individuals and governments are constantly providing the media with opportunities to create a mood of negativity, fear and anxiety, but the one driving force that gives us renewed energy is hope. Not sure about you, but I couldn’t live in a world without hope. A life without optimism, imagination and hope would be like a life without a smart phone. You couldn’t live a day without it. Think about it. We live in a world where individuals and governments are constantly providing the media with opportunities to create a mood of negativity, fear and anxiety, but the one driving force that gives us renewed energy is hope. Hope that situations will improve, that there is a better way. Hope can move us from a negative state of mind to a positive one. It is a gift for moods and a force for change. Dr. Beach understands the value and meaning of hope at a deep and transformational level because he’s been researching it in all of it’s manifestations for the past 10 years, but his journey researching and writing about hope by started by happenstance. As part of a wider research project, he and his team were studying the reactions of family members during phone calls where they were receiving news from doctors about cancer. Dr. Beach and his team noticed a pattern where bad news always gave rise to good news–to something positive and uplifting–and that the possibility of healing and staying together as a family when facing an uncertain and fearful future gave way to hope. When he extended his research into video-recorded communication between cancer patients and doctors at the Moores UCSD Cancer Center, they observed the same pattern where it was even more evident. In the very midst of addressing malignant tumors and metastasis or spreading of cancer, talk shifted to hopeful possibilities and good news, pointing to the power and presence of hope. Journeys through life are no doubt filled with troubles, dilemmas, and afflictions: jobs, training, finances, diverse relationships–these and more await you. Yet it is our greatest challenges that provide the most unique opportunities for growth. So how can you bring hope to the future and remain feverish with hope? How can you move forward with the realization that hope is not just something in the head, or heart, but something done together as we work to accomplish goals, manage troubles and navigate through daily experiences? Beach believes hope is essential as you respond to your calling to be leaders and change agents capable improving the world in which we live. If you live with hope at the forefront of your days, you can be that person or company who reassures those in trouble or turmoil that their difficulties will pass, offers encouragement that a better way is not out of reach, demonstrates to others you are fully committed to their well being. Evidence for being hopeful is abundant and lives freely among us. If you learn from your mistakes, if you give as much, if not more, than you receive or if you show compassion to those in need, there is hope. 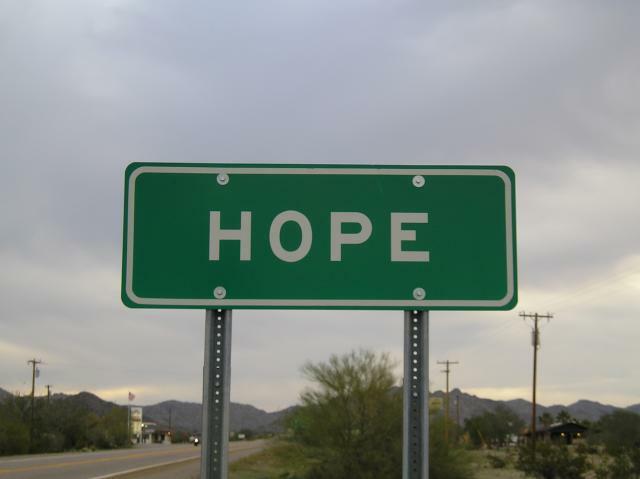 Hope, in its most powerful from, provides a resource of strength and resolve, that good will eventually arise from bad, certainty from uncertainty, and hope from despair. Hope is a powerful and transformational force. Optimism combats pessimism daily through hope. Let hope guide your good fortune. Hope is a personal responsibility. Feeling down? There is always hope.